We normally think of the Great Awakening as a wide scale revival in New England. The revival’s influences were much broader. Europe experienced the same intensive phenomenon. And from those revival winds arose a system of Christian thought concerning the operation of God in personal salvation which would prosper in the realm of experiential religion and constitute the most fixed platform for Spirit-empowered revival in the succeeding generations of the eighteenth and nineteenth-centuries. This system of thought had as its particular focus, the doctrines relating to the Church’s sanctification. John Wesley may be regarded as the Christian leader and theologian most identified with the development of doctrinal principles relating to sanctification. Even so, Wesley’s teachings were highly controversial in his time, would be substantially neglected by the denomination owing its origin thereto, and would never be accepted by the evangelical denominations at large. The original small band of Methodists formed as an effort to find the power of a personal religion which the Church at large seemed to neglect. As the effects of the Great Awakening were being felt in England, Wesley’s doctrines which predicted a personal and powerful encounter with the Spirit of God in fulfillment of His promise to write His law upon the heart, took greater hold. From the earliest resistance to these teachings there formed the original small band of Methodists, preaching a restored doctrine of sanctification focused upon the atoning sacrifice at Calvary. Although founded upon the teachings of John Wesley, Methodism itself would ultimately cast away the teachings of its founder. Adherents to Wesleyan-sanctification constituted a minority within Methodism for most of its 200-plus year history, existing as a subclass within Methodism throughout the nineteenth-century. At the end of the nineteenth century, Wesley’s teachings on sanctification would be jettisoned entirely from Methodism. Discarded within its own denomination, it is not surprising that Wesleyan-sanctification has been rejected by nearly the entirety of evangelicalism. One of the chief features of Wesleyan teaching is the characterization of sanctification as an event of salvation; a moment in time in which redemption is Divinely wrought upon the soul. Wesleyans were promised that their patience in the faith would lead them to a time and a place where and when God would meet them for the purpose of transacting His covenant with Abraham in an operation performed upon the heart. John Wesley referred to this as the instantaneous work, which soon became known as the Second Work of Grace. 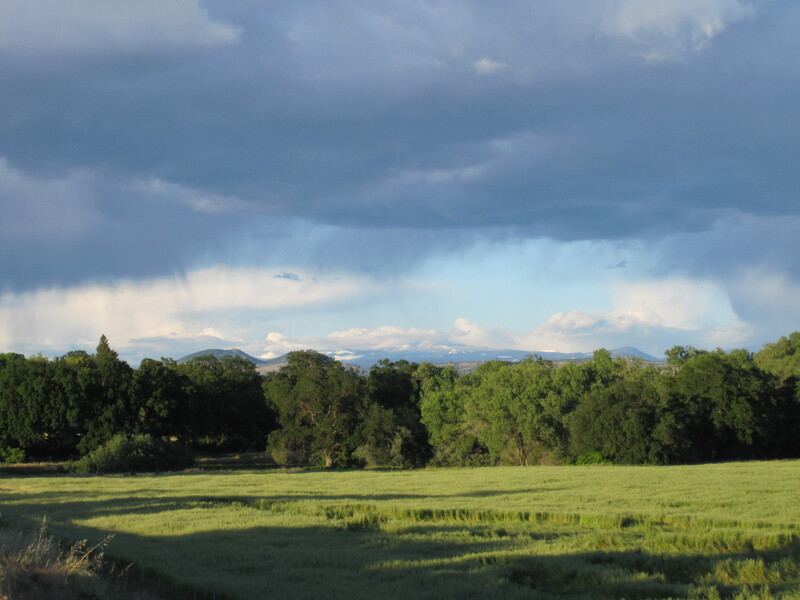 This second work was taught as the necessary precursor for the advancement of true holiness. Wesley also stressed the importance of the sacraments in this work. In addition to the Instantaneous Work of Grace, Wesleyan sanctification is also known for its much misunderstood and controversial doctrine of Christian Perfection. John Wesley was educated at Oxford where he was a founding member of The Holy Club, whose membership included his brother Charles and the famous and effective open-air evangelist, George Whitefield. The fellowship’s first meeting occurred in November of 1729 – the year Wesley first commenced upon the intensive study of Scripture – and consisted of just four persons, united by a common design to follow the Bible as closely to the primitive Church as they understood it, under the opinion that salvation was a more rare and valuable thing than commonly perceived, and that there was no middle ground between serving God or serving the Devil. Two years previous, in 1727, there occurred the event known as the Moravian Pentecost which marked a new era of spiritual vitality, discipleship, and experimentation with Christian communal living. The Wesleys and their friend Whitefield had been greatly influenced by William Law’s A Practical Treatise Upon Christian Perfection (1726). Wesley’s small Oxford fellowship set upon regulating their lives according to their understanding of the Biblical standard, and this earned for them the name “Methodists.” On January 1, 1733, John Wesley preached a sermon of great precedent for Methodism entitled Circumcision of the Heart at St. Mary’s church, Oxford University. This was during a period when revival winds were beginning to blow throughout England and its colonies in America. Later that year would signal the Great Awakening in New England. In October of 1735, as New England began to suffer a time of trouble during its own revival, John, his brother Charles, and Mr. Ingham (of their membership) sailed to the American colonies as missionaries with a design to preach to the Indians in Georgia. On the ocean voyage, the Wesleys became acquainted with a group of Moravian settlers and were impressed by their deeply personal spirituality. Wesley’s own experience in Georgia would prove traumatic due to events which began on the voyage itself in the form of a romantic relationship with Sophia Hopkey. Wesley was counseled against the relationship by a Moravian minister. After ending the relationship Hopkey accused him of promising to marry her. After arriving in Georgia, a lawsuit was filed against Wesley by Hopkey and her new husband, William Williamson. After a court mistrial, still pursued by the accusations of Williamson, and with his ministerial reputation now damaged, a dejected Wesley returned to England. His return to England was also unfortunate for his good friend George Whitefield, who was now sailing westward in route Georgia to assist Wesley’s ministry, unaware that Wesley had sailed east. Wesley’s ministry became intensely evangelical, preaching the free gift of salvation by faith with an emphasis upon sanctification and the works of faith. George Whitefield’s rejection from the churches in Bristol opened an opportunity for Wesley to join him in “open air” preaching in the Spring of 1739, which proved an effectual means of spreading revival in England. During this period, Wesley broke his association with the Moravians given his objections to their support of Quietism, which he considered a heresy. The period from 1739 to 1743 became an intensive period of revival during the Great Awakening in England and its American colonies. One renown controversy of Christiandom is the schism within early Methodism between Wesley and the Calvinists at TreveccaCollege. John Wesley and George Whitefield held fundamental disagreement on what was the proper emphasis of the gospel; Whitefield asserting justification by faith, and Wesley asserting sanctification by faith. This led to a separation between the two ministries in 1741. Wesley characterized their disagreement as involving the issue of general redemption (Whitefield’s view) versus particular redemption (Wesley’s view). This controversy remained a substantial divide within early Methodism of the eighteenth-century. While the two managed a close personal friendship, upon Whitefield’s death, Wesley preached the superiority of the latter doctrine at Whitefield’s memorial services causing an abrupt falling out between the two camps. When Wesley heard Whitefield declare; “You are saved by faith” he perceived a neglect for the principle of a salvation inseparably tied to works of faith and sanctification as that genuine article of salvation. On the other hand, when Whitefield and the Calvinists heard; “You are saved through sanctification they perceived a compromise upon that inviolable principle that salvation is by faith alone as a gift of grace. 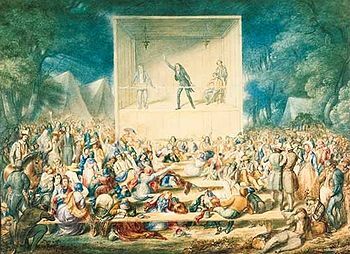 While the two camps disagreed upon the Gospel-emphasis, it is interesting that vital revivals were preached by both men and men of both doctrinal camps throughout the eighteenth and nineteenth centuries. The doctrine that stood Wesley apart and which arguably constituted the strength of early Methodism was that relating to the meaning and manner of receiving sanctification. Wesley taught an experience wherein God would perform a work upon the believer in an instant; allowing him/her to enter upon a perfect conscience and sanctified condition. Through this experience, the believer would be perfected and empowered for true progress in holiness. It was asserted that until this experience had occurred, true growth in holiness was impossible. This was the first account I ever heard from any living man, of what I had before learned myself from the oracles of God, and had been praying for, (with the little company of my friends,) and expecting, for several years. God is in all his thoughts; He walks with God continually; having the loving eye of his soul fixed on him, and everywhere ‘seeing Him that is invisible.’ And loving God, he loves his neighbor as himself; he loves every man as his own soul. He loves his enemies . . . For he is pure in heart. Love has purified his heart from envy, malice, wrath, and every unkind temper. It has cleansed him from pride, whereof ‘only cometh contention.’ . . . He is not content to ‘keep the whole law and offend in one point,’ but has in all points a conscience void of offence towards God, and towards man.’ Whatever God has forbidden, he avoids; whatever God has enjoined, he does. He ‘runs the way of God’s commandments,’ now He hath set his heart at liberty. . . He cannot therefore ‘lay up treasures upon earth,’ no more than he can take fire into his bosom. He cannot speak evil of his neighbour, any more than he can lie either for God or man. He cannot utter an unkind word of any one; for love keeps the door of his lips. He cannot speak idle words. For Wesley, this was Gospel perfection; something not only possible, but promised for this lifetime. Wesley’s apprehension of the Gospel, the witness He sensed of the Holy Ghost, personal experience, and the testimony of others combined to bring him to the conclusion this circumcision of heart was meant to be experienced in this lifetime. For Wesley, this experience was not only possible in this life, but God’s promise. But after a time a cry arose, and, what a little surprised me, among religious men, who affirmed, not that I stated perfection was wrong, but that “there is no perfection on earth,” nay, and fell vehemently on my brother and me for affirming the contrary. We scarcely expected so rough an attack from these; especially as we were clear on justification by faith, and careful to ascribe the whole of salvation to the mere grace of God. But what surprised us, was, that we were said to “dishonour Christ,” by asserting that he “saveth to the uttermost,” by maintaining he will reign in our hearts alone, and subdue all things to himself. Thus doth Jesus save his people from their sins, not only from outward sins, but from the sins of their hearts. Wesley noted that “love itself may incline us to mistake,” as the tendency to – in goodwill – receive men as more righteous than they are, would itself create occasion for stumbling. (1) That Christian perfection is that love of God and our neighbour, which implies deliverance from all sin; (2) that is received merely by faith, (3) that is given instantaneously, in one moment, (4) that we are to expect it, not at death, but every moment; that now is the accepted time, now is the day of this salvation. – Are the promises of God respecting holiness to be fulfilled in this life, or only in the next? – Does the soul’s going out of the body effect its purification from indwelling sin? – Do you sincerely desire to be freed from indwelling sin in this life? – If you do, did not God give you that desire? – If so, did he not give it you to mock you, since it is impossible it should ever be fulfilled? – Do you ever pray God to ‘cleanse the thoughts of your heart, that’ you may perfectly love Him? – If you neither desire what you ask, nor believe it attainable, pray you not as a fool prayeth? Friday 28. My body is very weak. I feel the want of Faith, and the necessity of believing for sanctification. Likewise I am deeply convinced of the impossibility of Happiness without Holiness. But I have a lively sense of God’s love, and a confidence that he will fully supply all my wants. Whitsunday 30. Blessed by the Lord, that he hath brought into my soul, the liberty I have so long been seeking for. . . . . . All this time my heart was broken before the Lord, and my face covered with tears; and I found nothing left but a fear lest the Spirit should depart, before he had purified me from inbred sin. While I was thus agonizing with God in prayer, the power of the Lord came upon me, so that my whole body trembled under it. But I kept my spirit still, and continually cried, “My heart Lord! Work within! Work within!” In that instant I felt the Spirit of God enter into my heart with mighty power, and as it were literally accomplish that promise, “I will take away the heart of stone, and give you a heart of flesh”. The old heart seemed to be taken away, and God himself taking possession of my soul in the fullness of love. And all the time of the service, I enjoyed such a heaven of love as I never before experienced. All the day I watched every motion of my heart, to see if the evils I before felt were there or not; but I found none. I could find nothing there, but solid joy and heart-felt peace. Indeed, how God may work, we cannot tell; but the general manner wherein he does work is this; Those who once trusted in themselves that they were righteous, that they were rich, and increased in goods, and had need of nothing, are, by the Spirit of God applying his word, convinced that they are poor and naked. All the things that they have done are brought to their remembrance and set in array before them, so that they see the wrath of God hanging over their heads, and fee that they deserve the damnation of hell. In their trouble they cry unto the Lord, and he shows them that he hath taken away their sins, and opens the kingdom of heaven in their hearts, righteousness, and peace, and joy in the Holy Ghost. Sorrow and pain are fled away, and sin has no more dominion over them. In this peace they remain for days, or weeks, or months, and commonly suppose they shall not know war any more; till some of their old enemies, their bosom sins, or the sin which did most easily beset them, (perhaps anger or desire,) assault them again, and thrust sore at them, that they may fall. Then arises fear, that they shall not endure to the end; and often doubt, whether God has not forgotten them, or whether they did not deceive themselves in thinking their sins were forgiven. Under these clouds, especially if they reason with the devil, they go mourning all the day long. But it is seldom long before their Lord answers for himself, sending them the Holy Ghost to comfort them. While Edwards focused his study substantially upon the outward manifestations of God’s work upon the man and the practical application of ministering under circumstances in which the Divine Light of Christ is at work, Wesley trained his focus on its inward effects, and upon theological model of deliverance from sin. When, after having been fully convinced of inbred sin, by a far deeper and clearer conviction than that he experienced before justification, and after having experienced a gradual mortification of it, he experiences a total death to sin, and an entire renewal in the love and image of God, so as to rejoice evermore, to pray without ceasing, and in everything to give thanks. Not that to feel all love and no sin is a sufficient proof. Several have experienced this for a time, before their souls were fully renewed. None therefore ought to believe that the work is done, till there is added the testimony of the Spirit, witnessing his entire sanctification, as clearly as his justification. A Plain Account of Christian Perfection, by John Wesley (Item 5) In the year 1729, I began not only to read, but to study, the Bible, as the one, the only, standard of truth, and the only model of pure religion. On Early Methodism, by John Wesley, Item 6. William Law (1686-1761) English cleric and theologian. His conscience prevented him from taking the oath of allegiance under king George I, and he was deprived of his fellowship. In 1734 he became an avid admirer of the writings of Jacob Boehme and his writings assumed a more controversial and mystical nature. In 1756, John Wesley wrote a letter of correction and reproof to Law warning him off from some of his more heterodox opinions. A Plain Account of Christian Perfection, by John Wesley (Item 4) . . Mr. Law’s “Christian Perfection” and “Serious Call” were put into my hands. These convinced me, more than ever, of the absolute impossibility of being half a Christian; and I determined, through his grace, (the absolute necessity of which I was deeply sensible of;) to be all-devoted to God, to give him all my soul, by body, and my substance. On Early Methodism, by John Wesley, Item 5 – The exact regularity of their lives as well as studies occasioned a young gentleman of Christ Church to say, “Here is a new set of Methodists sprung up,” alluding to some ancient Physicians who were so called. The name was new and quaint; so it took immediately and the Methodists were known all over the University. 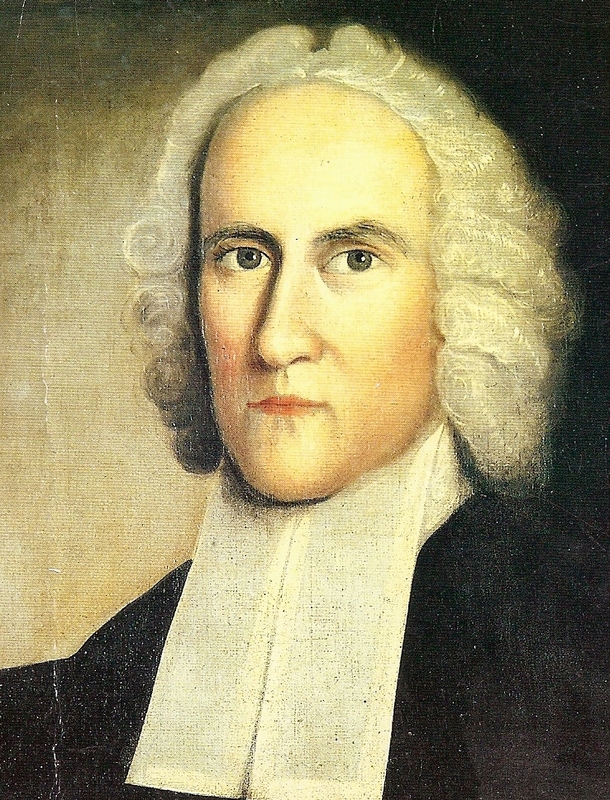 Jonathan Edwards describes 1735 as the year of disturbing events in terms of the revival occurring in New England. He describes this as a year many were “shaken, but not converted” and left with a sense of damnation. Suicides relating to the revival brought criticism which many pointed to as the cause for the revival ending that year, not to resume for several years thereafter with the help of a transatlantic visit to the colonies by George Whitefield in 1740. On Early Methodism, by John Wesley, Item 8. Taken from Power Evangelism by John Wimber and Kevin Springer © 1986 Harper & Rowe pg. 25, quoting from The Works of John Wesley 3rd Ed. (Peabody, MA; Hendrickson Publishers, 1984) 1:170. QUIETISM: Christian philosophy that gained prominence in seventeenth and eighteenth-century Europe arising from the influences of Christian mysticism. The philosophy maintained that intellectual stillness and passivity were precursors to a perfected Christian state of being, and advocated for a self-annihilation and absorption of the soul into God. The French mystic, Mme. Guyon is considered to have been one of the most influential proponents and teachers of the Quietist philosophy. 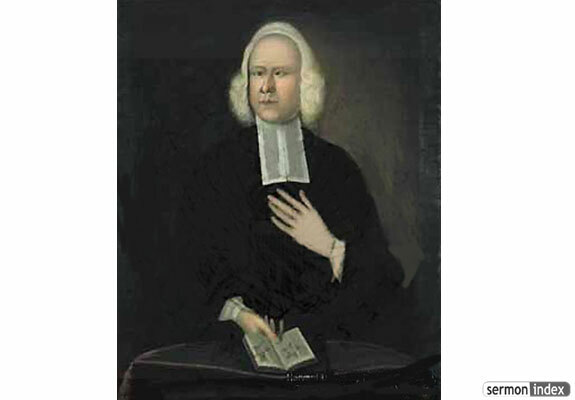 In 1739 George Whitefield visited New England as a guest of Jonathan Edwards who facilitated his various preaching engagements. 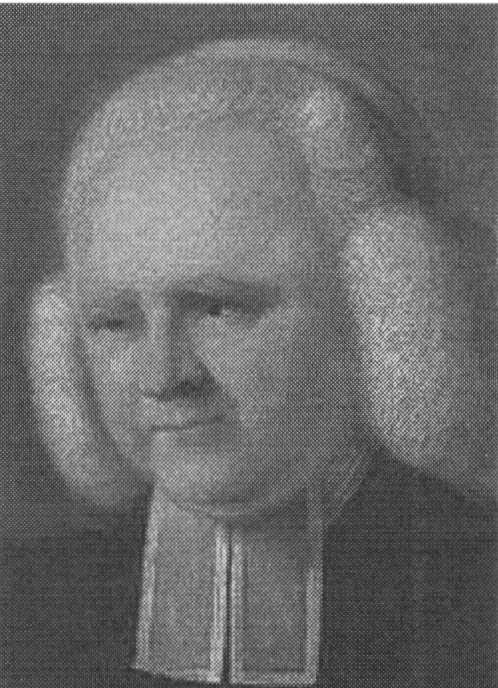 Edwards wept as Whitefield preached in his Northampton church. The previous years had been stressful in New England, and Whitefield’s visit was characterized by a new sense of grace and awakening. A Plain Account of Christian Perfection, by John Wesley 1767 (Revised through 1777) – at item 6. A Plain Account of Christian Perfection, by John Wesley 1767 (Revised through 1777) – at item 11. The Meaning of Pentecost in Early Methodism by Laurence W. Wood © 2002, The Scarecrow Press, Inc. Lanham, Maryland, & Oxford at page 39. A Plain Account of Christian Perfection, by John Wesley 1767 (Revised through 1777) – at item 13. This entry was posted in 2D. WESLEYAN METHODISM (Application to Reformed & Evangelical Theology) and tagged Christian perfection, instantaneous work of grace, methodism's second cure, second cure, second work of grace, Wesleyan holiness, Wesleyan Methodism, Wesleyan sanctification. Bookmark the permalink.